Lord Sutherland, born Ranald Iain Sutherland, has been a judge since 1985 and is a member of the First Division of the Inner House. 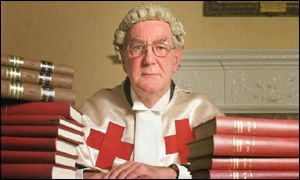 A graduate of Edinburgh University (MA LLB), he was admitted to the Faculty of Advocates in 1956. He served as an Advocate Depute from 1962 to 1964 and from 1971 to 1977 and was Standing Junior to the Ministry of Defence from 1964 to 1969. He was appointed Queen’s Counsel in 1969 and was a member of the Criminal Injuries Compensation Board from 1977 until 1985. He is the Scottish representative to the International Association of Judges.